Home Seaside Heights & Seaside Park Government Is Ocean Terrace in Seaside Heights Dangerous for Pedestrians? 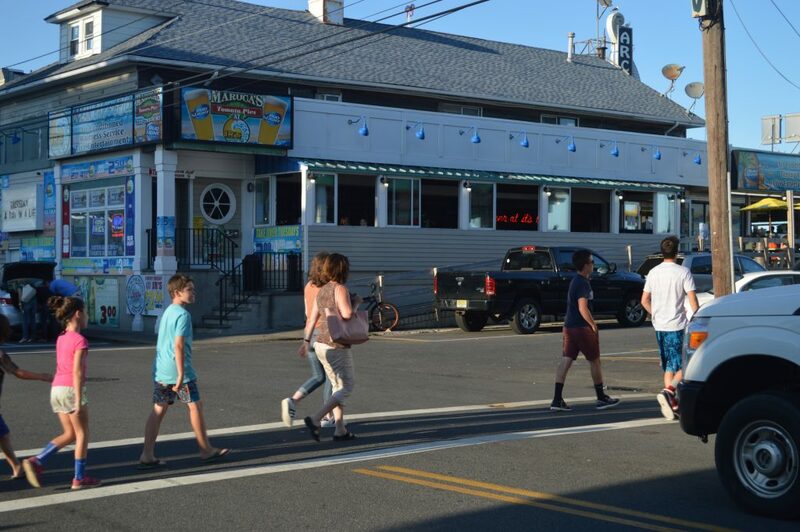 Is Ocean Terrace in Seaside Heights Dangerous for Pedestrians? Perhaps Seaside Heights most-traversed block, some residents say more precautions for pedestrians should be built into Ocean Terrace. Borough officials, however, say they have requested more pedestrian safety signs and had them denied by the county. Ocean County has jurisdiction over Ocean Terrace, said Borough Administrator Christopher Vaz. Getting pedestrian-friendly signage isn’t as easy as it sounds, however, officials say. Since the terrace is a county road, the municipal government of Seaside Heights cannot legally install signs itself, Vaz said. Last year, he said, the borough asked the county to place signs there. Vaz said Seaside Heights will, once again, request the signs this off-season – especially since a new county engineer, John Ernst, has been appointed. “We may want to renew the request, and perhaps the new engineer will look at it differently,” said Vaz. Borough Attorney Jean Cipriani reiterated the borough’s lack of jurisdiction over signage on the roadway.